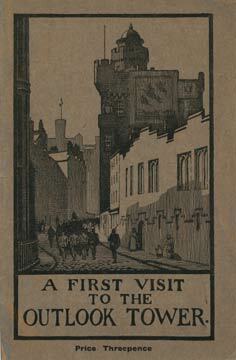 On the morning of 7 January ‘Abdu’l-Bahá visited the Outlook Tower, which had a panoramic view of Edinburgh. He was met by the Outlook Tower Society President Sir Patrick Geddes, who escorted ‘Abdu’l-Bahá up the five flights of stairs to the top of the tower. After they had admired the view of the city, Geddes showed ‘Abdu’l-Bahá the ‘Camera Oscura’ which projected an image of the city down onto a large table top. Geddes, along with his nephew, Sir Frank Meres, later developed a design in the 1920s for a Bahá’í temple they hoped, futilely as it worked out, would be built in Allahabad, India. 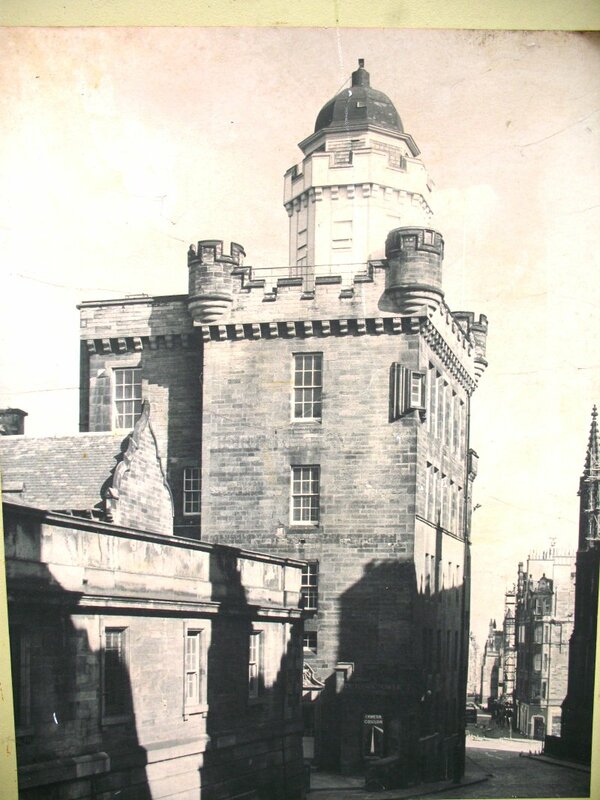 After viewing the various displays and galleries in the Outlook Tower, the Master had a drive down Edinburgh’s famous Royal Mile, past Holyrood Palace and on to Arthur’s Seat. He then met some of the foreign students at Edinburgh University, who had come from Japan, India and Egypt. ‘Dear and honoured Sir’, said Dr Whyte as he introduced the Master, ‘I have had many meetings in this house, but never have I seen such a meeting. It reminds me of what St Paul said, “God hath made of one blood all nations of men . . .”’. ‘Abdu’l-Bahá then spoke to the students on the oneness of religion. There were two friends who did not know each other’s language. one of them got sick; the other one called upon him, but he could not express his sympathy, so by making a sign he asked him, ‘How are you?’ By making another sign, the sick man answer, ‘I am almost dying’, and the friend . . . thinking that he had told him that he was feeling much better, said, ‘Thanks be to God’. By such incidents you realize that the best thing in this world is to be able to make yourself understood by your friends, and also to understand them . . . But after the meeting, ‘Abdu’l-Bahá was exhausted. George S. Stewart commented, ‘he was a very weary man. I saw him at Dr Whyte’s just after the meeting. He was lying back in an arm-chair, while his personal attendant massaged his legs. He was an exhausted man’. ‘Abdu’l-Bahá’s schedule was brutal for His much-abused physical body. 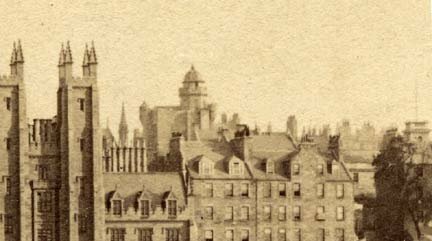 In Edinburgh Lady Blomfield saw the spiritual power that could overcome physical exhaustion. Before He addressed another gathering two days later, the Master looked very tired. ‘He remained seated in silence for a few moments after Mr Graham Pole had reverently introduced Him. Then, seeming to gather strength, He arose, and with voice and manner of joyous animation, and eyes aglow, He paced the platform with a vigorous tread, and spoke with words of great power’. Lady Blomfield also witnessed a similar remarkable recovery in London one day, when the Master arrived home very tired after a long day. We were sad at heart that he should be so fatigued, and bewailed the many steps to be ascended to the flat. Suddenly, to our amazement, the Master ran up the stairs to the top very quickly without stopping. ‘Through the power of Bahá’u’lláh all things can be done. I have just used that power’. Wouldn't it be great if we relied on the power of Baha'u'llah more often? What an Example!